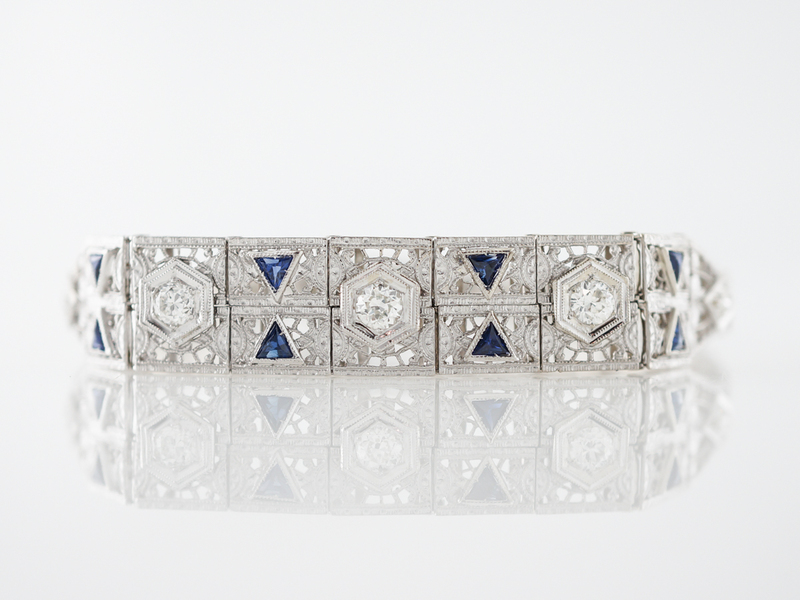 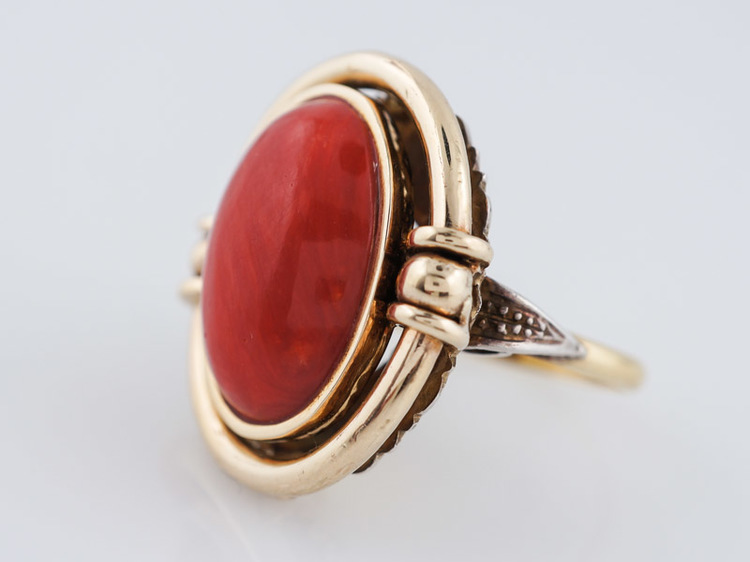 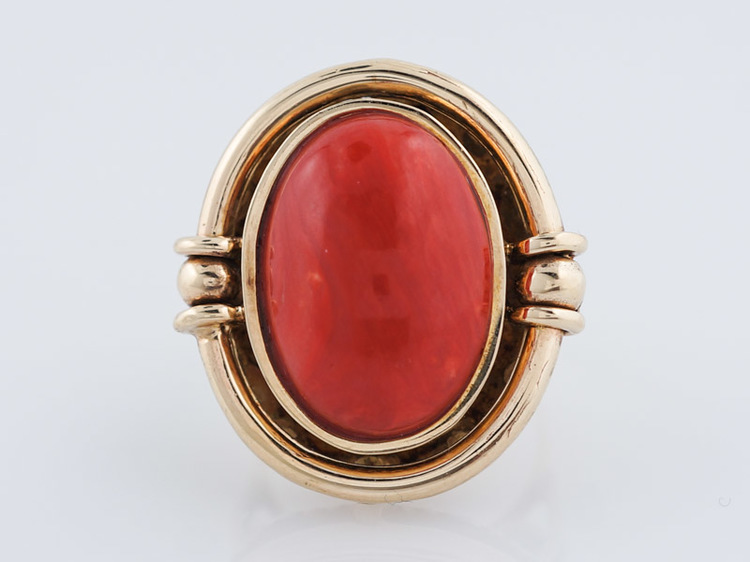 This spectacular vintage bracelet has so many desirable qualities. 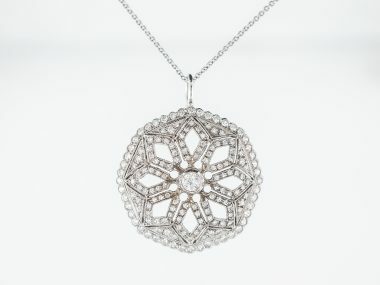 A unique piece coming from the Art Deco era and exhibiting all the angular and fine metal details inherent in arts and crafts from this time period. 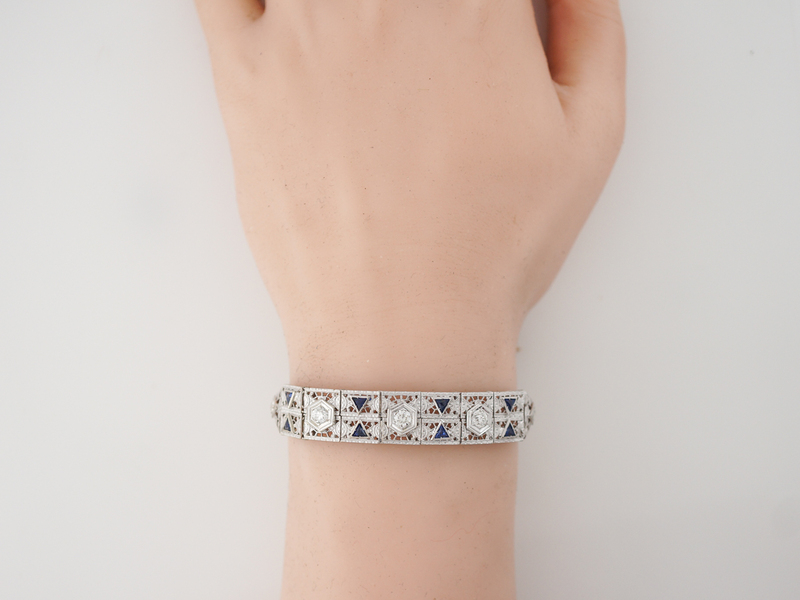 The bracelet is made of platinum and 14k white gold and features .75 carat old european cut diamonds. 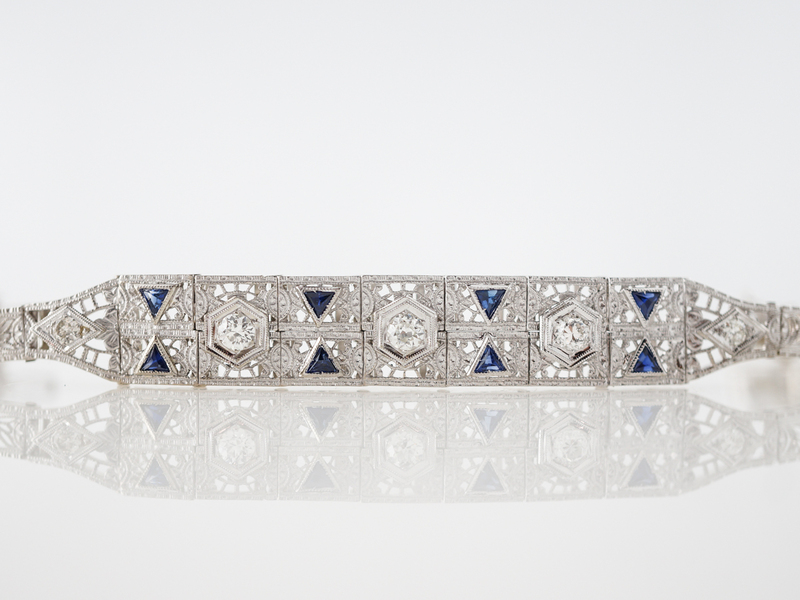 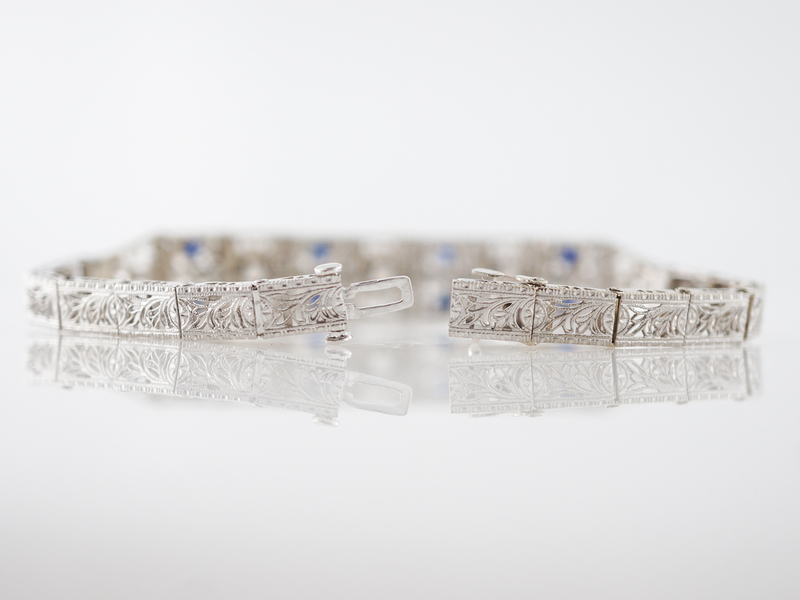 Additionally this bracelet carries .96 carat in triangular cut and bezel set sapphires. 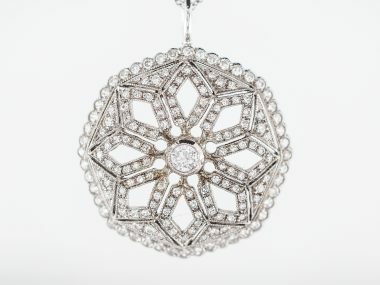 The combination of filigree work and dynamic shapes is impressive and effective.